Product: 0645 Mammoth Pole Pad Accessory, 5 X 5 Pole Pad for 98854, 98856, 98860, 98862 basketball goal Poles on Mammoth Basketball Systems and 98865 Mammoth Basketball Goals. Model 0645 Mammoth 5 x 5" Pole Pads are Weather-Resistant. 5" Mammoth Basketball Pole Pad Weighs about 3.5 lbs and is about 1" thick. 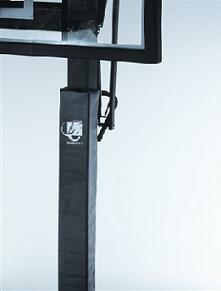 View our other Mammoth Basketball Equipment Hoops and Goals and basketball accessories. 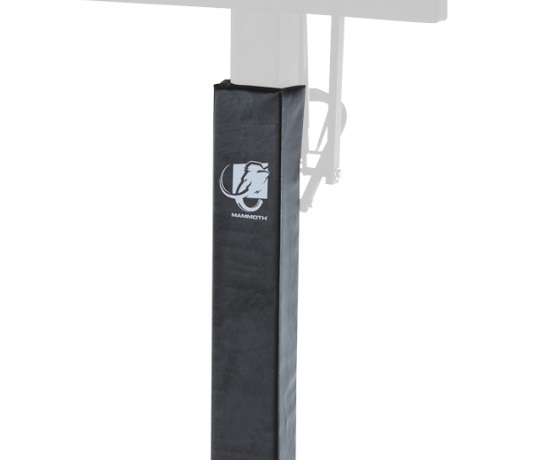 We carry many basketball pole covers / pads. Let us know if you find a lower price on our mammoth basketball goal pad and give us a chance to match or beat the price. 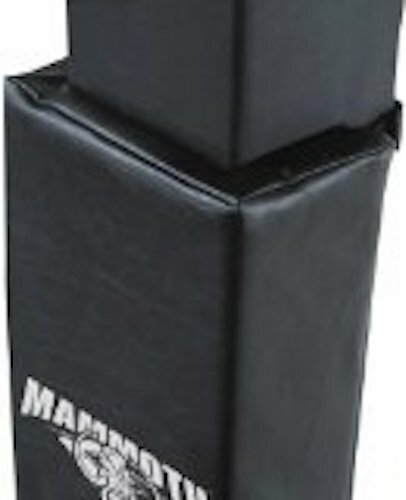 The 0645 Mammoth basketball pole pad is a smaller version of the 0647 Mammoth Basketball Pole Pad. The main differences are the length of the pole pad, the thickness of the foam, and the size of pole the pad can fit. The 0647 is larger and can fit up to a 6x6 square pole. 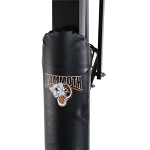 Lifetime Products manufactures of this pole pad as well as all other Mammoth Basketball Equipment. Lifetime also creates a Pool Basketball systems for outdoor swimming pool use. Very durable and well worth the price paid. Easy to install and protects against impact. Highly recommend! Great place to order from as well. Very nice padding. Fit pole on my Lifetime Mammoth perfectly. Only thing is the pad received did not match the picture. I ordered the Mammoth pad. I got one that says Lifetime on it and no Mammoth logo. Q: How many Velcro straps are on the back? A: There are three. One at the top, one in the middle, and one at the bottom. 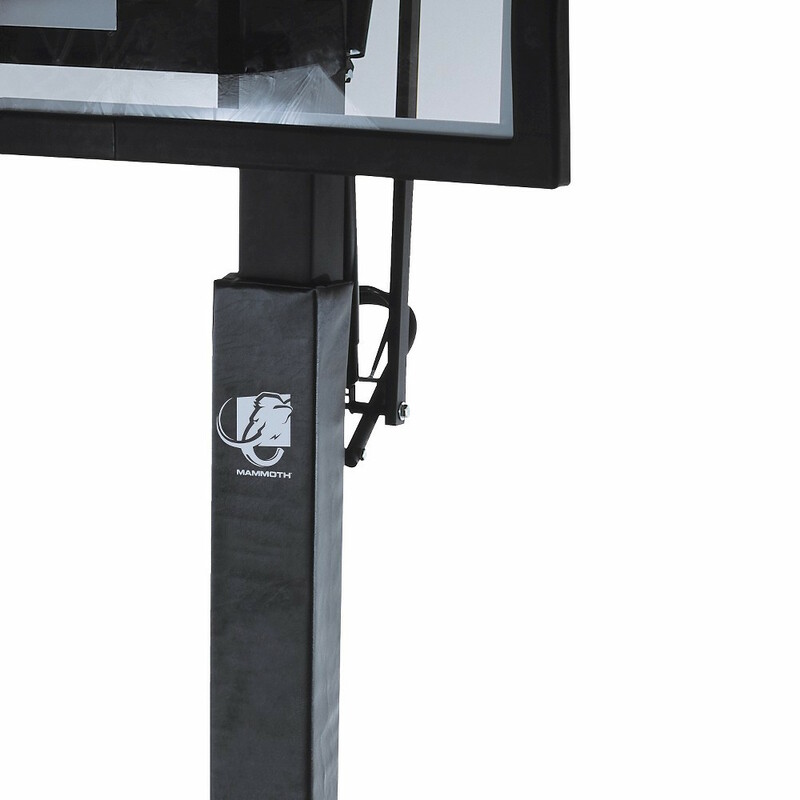 Fast Shipping: Orders for the 0645 Lifetime Portable Basketball Goal generally leave the warehouse the next business day or 2. Local Pickup Option:;This item is available for local pickup in Clearfield, Utah. If you are interested in picking it up locally contact our customer service for a special pickup quote at 866-308-5484. Dimensions: 64" x 8" x 5"